Whether you like it or not, your credit history takes center stage when it’s time to plan your financial aid strategy. If you are a high school student, this may be the first time you’ve had to consider the importance of having good credit. Understanding credit fundamentals helps you determine your best options for getting much-needed financial-aid, so let’s examine the basics. Every credit related interaction you engage in has an outcome that affects your “credit rating”. If you borrow money and pay it back on schedule, your rating will be the better for it. If you have even one late payment, a negative entry serves to lower your rating. Your “credit score” is the summation of all the credit outcomes you have created over the course of your borrowing history. Credit “bureaus” are tasked with assigning numbers, or scores, to your overall performance. As you apply for certain student aid, your credit score is used by lenders to determine your worthiness for loans. If information contained in your credit report has been used to withhold a loan, the lender is obligated to tell you that it has. You have a specific right to know what is contained in your credit report. 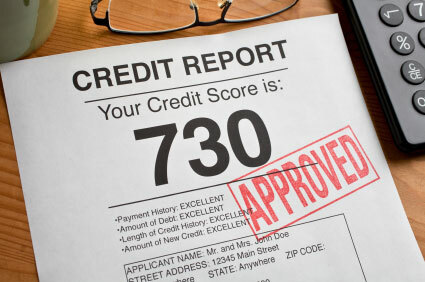 You have the right to challenge any information contained in your credit report that is not accurate or is incomplete. The Fair and Accurate Credit Transaction Act (FACTA) is a legal provision granting you the right to receive free copies of your credit reports from each of the three national credit bureaus, once a year. Get your free report, so you know exactly where you stand - requests are submitted annually to www.annualcreditreport.com. (Remember: you get ONE free report from each one, every year - use it wisely, from the perspective of timing). What’s wrong with my credit? Experian, Equifax, and Transunion are the three primary credit bureaus that analyze your credit history. While responsible credit behavior is always going to impact your credit rating positively, it is not the only metric used to assign your credit score. Some of the criteria used to derive credit scores are inherently biased against college students. Revolving Credit – YourMasterCard or Visa payment record illuminates your ability to manage a revolving account that carries balances across billing periods, and requires timely payments each month. Installment Credit – Loans with fixed payments that are paid back over designated periods of time fall into this category. Mortgages provide the best installment credit references for lenders, because the loans are large and long-held. You probably didn’t buy a house during high school, but your steady car loan payments are also installment credit successes. Open Credit – An American Express card is a good example of an open credit line that must be paid in-full each month. So even if your credit outcomes have been positive, your limited history might not be sufficient to establish a high credit score. To access funds reserved for people with high credit scores, add a longer frame of reference to your credit application- take on a cosigner. Use cosigners to your advantage—to help build your credit. Once you’ve made 48 consecutive on-time payments, it’s common for your lender to release the cosigner fromthe loan. The student loan you needed a cosigner to secure, now acts as an installment credit success, to raiseyour own credit score. If you cannot find someone willing to lend their favorable credit rating to your college funding cause, focus instead on forms of financial aid that don’t rely on your past credit performance. Federal student loans provideyour best borrowing options without strong credit.The first step toward securing financial aid is to complete the Free Application for Federal Student Aid (FAFSA). The standardized application computes your need for financial assistance during school. Student income, parental income and assets, and the size of your family are used to calculate your Expected Family Contribution (EFC). Your EFC is then used to create an individual Student Aid Report (SAR) that articulates your precise college financial aid needs. Submitting your FAFSA places you in contention for Stafford Loans under the William D. Ford Federal Direct Loan Program. Stafford Loans are categorized as subsidized, or unsubsidized, with different conditions for each. Subsidized Stafford Loans are based on demonstrable financial need, as illustrated by your FAFSA results. As long as you are enrolled in school, your interest payments are subsidized by the Federal Government, so your debt doesn’t grow while you are learning. Unsubsidized Stafford Loans are not based on financial need, so interest does accrue while you attend school. You have the option of paying the interest as you go, or letting it ride until you finish school. As your interest is added to your debt, your total repayment obligation grows. Stafford Loans are available for undergraduate and graduate studies, with a maximum yearly award of $20,500 per graduate student. Parental financial information is included on FAFSA submissions for “dependent” students. If you apply as an “independent” student, your parents’ income is not factored into your Expected Family Contribution (EFC), and your annual Stafford Loan limits are higher. Perkins loans are administered by institutions of higher education (IHE), but are federally funded nonetheless. Funds are reserved for students who demonstrate significant need relating to educational financing.Families with annual incomes below $25,000 are usually eligible for Perkins Loans, but your FAFSA should still be submitted, even if your family makes more. 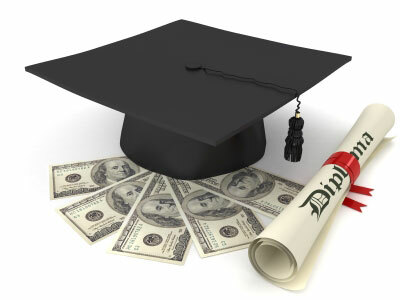 The maximum annual Perkins loan for undergraduate students is $5500, with a lifetime loan maximum of $27,000. Graduate students may borrow up to $8000 each year, with a $60,000 lifetime maximum. Perkins loans have fixed 5% interest rates and repayment starts 9 months following graduation. Private lenders require established good credit to consider you for a loan. If you don’t have it, get a cosigner on board to bolster your credit worthiness. Without credit or a cosigner, you are best served by direct federal loans.